Chevrolet aims to sell a million cars a year in Europe within five years. 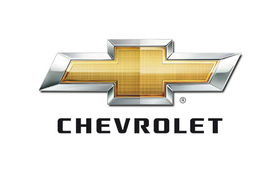 MUNICH – Chevrolet finished the first quarter as Russia's top-selling foreign brand and No. 2 overall to rebounding domestic giant AvtoVAZ, which made a strong gain last month thanks to the March 8 launch of the country's car scrapping program. On a more positive note, the General Motors Co. subsidiary's sales were flat at 9,370 units in March, the first month in which the Russian government offered car buyers 50,000 rubles ($1,700) to trade-in cars that are at least 10 years old for new models that are built in Russia. The program has enough cash to subsidize the sale of 200,000 vehicles. The incentive helped Lada maker AvtoVAZ boosted its March sales 13 percent to 34,177 units. By comparison, AvtoVAZ's sales in February were down 31 percent. Overall, car buyers in Russia bought just 7 percent fewer cars and light commercial vehicles year on year last month, compared with declines of 32 percent in February and 37 percent in January. The improvement caused the AEB to raise its forecast for full-year sales to 1.6 million cars and LCVs, up from a previously forecast of 1.5 million. Of that total, the AEB predicts 1.45 million passenger cars will be sold, which is conservative compared with analyst Morgan Stanley's prediction this month that 1,824,000 cars will be sold in Russia this year. U.S.-based WP Browne Consulting foresees 1.66 million car sales in Russia this year. "The scrappage program looks like it helped March performance against the backdrop of some poor fundamentals," company president Warren Browne said in an e-mail reply to questions. "Unfortunately, capacity utilization will remain low for the balance of the year," added Browne, who ran GM’s Russia business from 2004 until 2008. Last year, 1,465,917 cars and LCVs were sold in Russia, according to the AEB. "In March we saw considerable revival on the market. Improvement of the general climate and growth of consumer optimism are caused not only by the traditional seasonal factor, but also by the start of scrappage incentive program," Martin Jahn, chairman of the AEB Automobile Manufacturers Committee, said in a statement. Russia's car industry was poised to pass Germany as Europe's biggest auto market before the global economic crisis caused sales to halve in 2009.